Check your emails for information regarding our upcoming event. Date is October 20th. I am pretty close and would like to attend if possible. Can you send me some information on it. Once again our SAAC North Carolina/South Carolina Club has been invited to attend a very unique private gathering in Davidson, NC. If you weren’t able to attend last year, but heard what an amazing time was had by all, then this is the opportunity to write this off your bucket list! 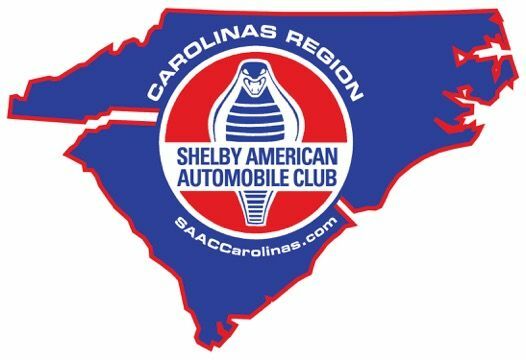 We will be concurrently holding our fall meeting at SAAC member Tom Cotter's 'Woody Party', so it’s a great opportunity to not only mingle with fellow Shelby afficianodos, but to also peruse the eclectic group of vintage vehicles that historically show up at Tom’s event. This year's gathering will be held on Saturday, October 20th, with an arrival time targeted for 11:00AM. As you may know, Tom holds this event to catch up with like minded car enthusiasts and also raise money for a local charity called the Ada Jenkins Center, in Davidson, NC. This center has a rich history in serving the community and dates back to the 1930's. It's worth a "look-up" on the internet. We ask that each attendee bring a gift card to donate to this charity. (This cuts down on the labor of working with cases of canned goods). A gift card from Harris Teeter, Publix, Target, or Wal-Mart will work just fine. There is a strict limit to the number of cars and occupants that we can logistically accommodate. There have been a limited number of spots set aside for our Club, so it is critical that you RSVP to either me or Denny upon receipt of this invitation, so a space may be reserved for you. We need to hear back from you no later than September 1st. Please include whether you will be bringing a significant other, what Shelby you plan on displaying and if you need trailer parking. Last year’s offsite parking was provided at a nearby storage facility. If you decide to trailer your Shelby to this event, the parking area is secure behind a gated entrance. We assume trailer parking will be at the same location as last year and as soon as we receive confirmation on that we’ll let you know. If we don't receive a response from each of you by September 1, 2018, we won’t be able to hold a place for you at the event. Please RSVP ASAP! Please contact me for further information as well as location of the event. I'm a new SAAC member from NC and would like to find out how to join the Carolina Region SAAC. Thank you. Big Bump! If you haven't gotten back to either Denny or myself to RSVP, please do so! The deadline is Sept 1, 2018. When will directions be posted? I did RSVP and am looking forward to being there. Would love to see pictures, and maybe they would give me the impetus to plan for next years event.